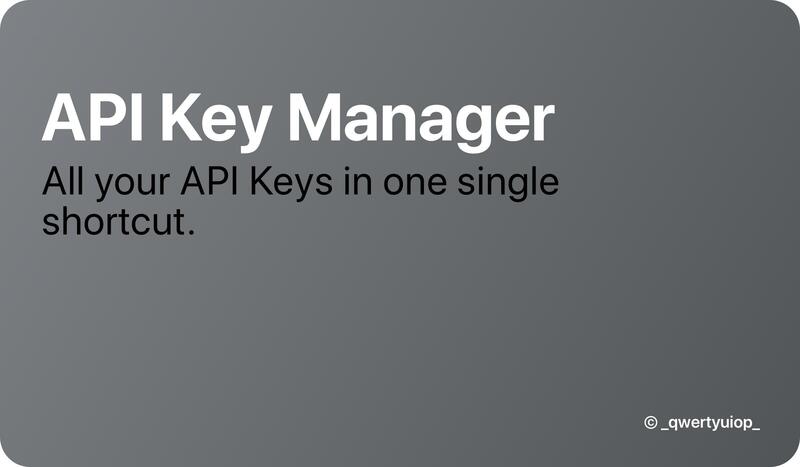 This shortcut allows you to store all your API Keys. All your keys are saved in your icloud and have access with a few clicks. Beta 5 - April 21, 2019, 4:26 p.m.